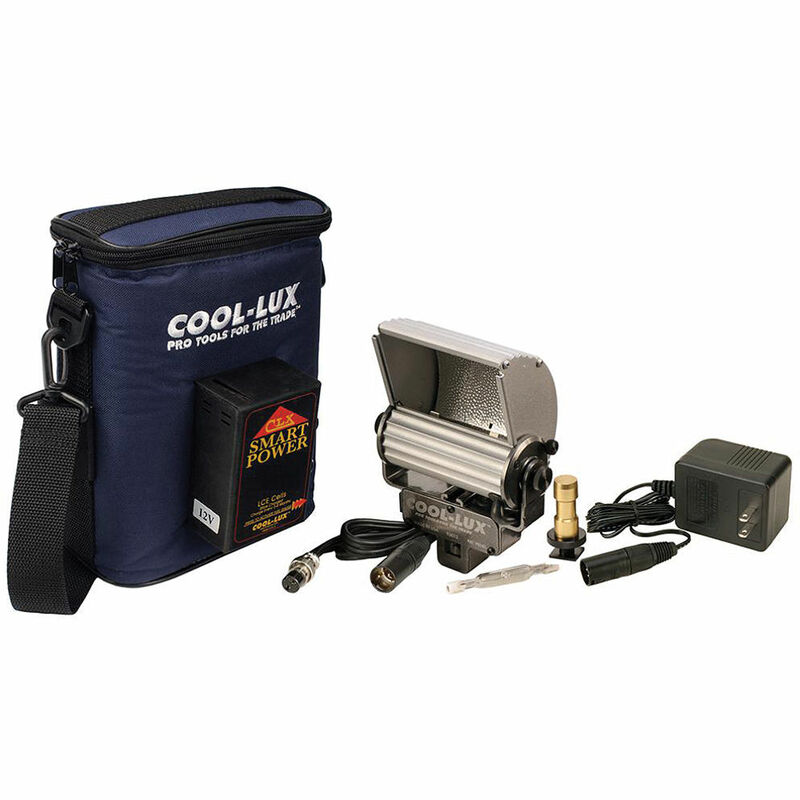 The Cool-Lux SL3096 Power Kit eliminates the use of multiple on-camera lights and provides the required type of illumination in any location. With the simple attachment of a hood, the powerful Broad Light turns into a 100 Watt Softlight, perfect for softening wrinkles and blemishes. The featured color neutral metal reflector is actually softer than white light and does not turn Softlight yellow over time, ensuring that you capture perfect skintones and colors. With a compact design, the power kit can be used for HD and HD DSLR arrangements. The SL3096 kit makes your travel easier as you don’t need to carry umbrellas and bulky soft boxes any more. Box Dimensions (LxWxH) 12.0 x 8.875 x 8.5"